I want to start by apologising for not being very active on my blog, YouTube and social media in the last couple of weeks, and for not posting last week’s Sunday Snippets. You’ll find out more in this double bill of my Sunday post, but it’s been a pretty difficult week or so with my health. I had hoped to post last Sunday, but I just wasn’t well enough and as much as I gave myself a hard time about it, I knew it was better for me to just rest and give my body time to heal. So, I hope you will enjoy this double bill, and hopefully I can gradually get back to posting here and on YouTube more regularly. Let me take you back to Sunday 19th March (which feels like ages ago now!) I got up fairly late and, after I’d had my breakfast, I sorted out my medication for the week ahead. 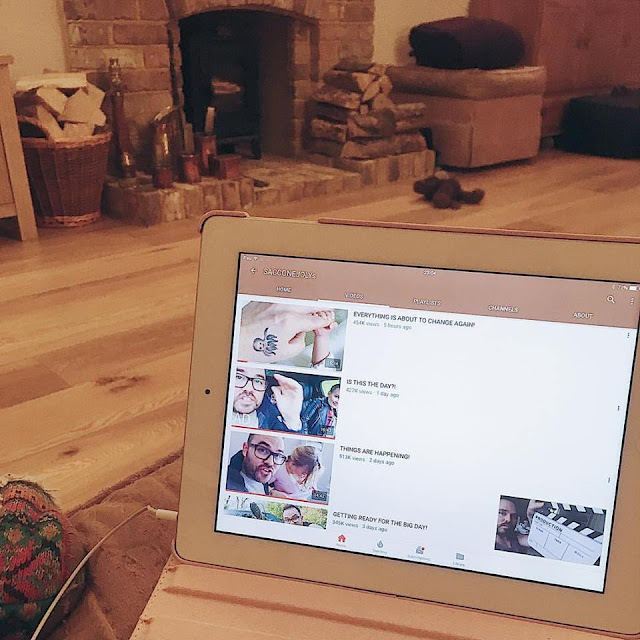 I got a YouTube video uploading (although it ended up failing in the end) and then wrote and uploaded my Sunday blog post. I had my lunch and watched a programme I’d recorded about the Mystery of the Man on the Moor. It was such an interesting story but so sad that they still don’t know exactly what happened. I spent quite a while sorting out all my bank statements to send off for my ESA, which was rather stressful trying to print the right bits off. I then put Family Guy on in the background and did some Law reading. My Grandma came over for dinner in the evening, which was nice. 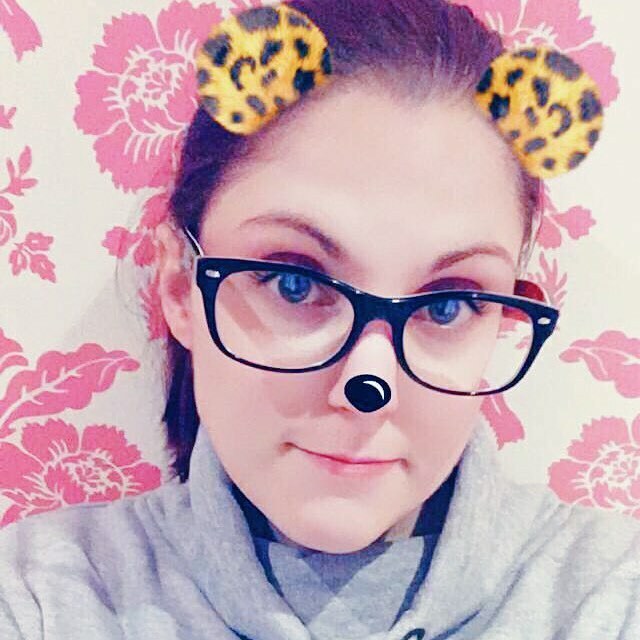 I wore my new Mickey Mouse jumper from Primark and tried to take a Snapchat of it, but ended up cutting out the design, so I’m afraid you’re stuck with my face instead! On Monday 20th, my Dad drove me over to Uni first thing and we met my support worker, who was back from Dubai. She kindly brought me back this Starbucks mug, which was so sweet of her. 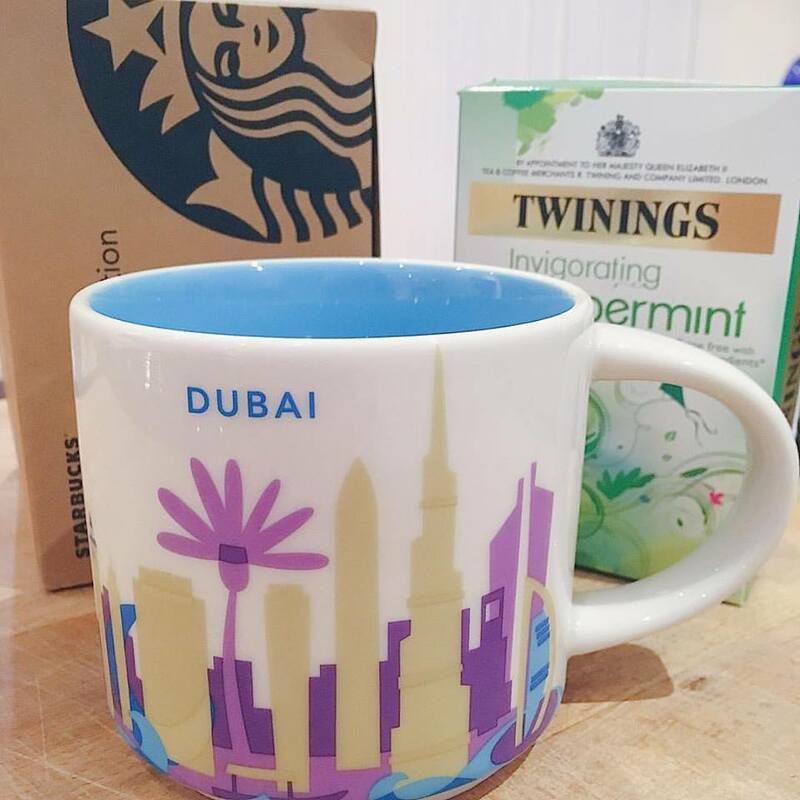 I’ve wanted to start collecting these location mugs for ages but never been anywhere to find one, so this can be the start of my collection. Maybe one day I’ll get to go somewhere exciting to find another one! In the morning we did a news quiz and then looked through an article. After that, we had to shoot five shot sequences of each other in the radio studios and edit them together. I had my Fortisip and chatted to the girls over lunch. We seemed to be laughing at everything, which was nice. In the afternoon we were given a fake story about the university pool tables, and we had to film and edit sequences about that. The funniest part was watching my friend, Shanae, attempt to play pool – we laughed a hell of a lot! I had a really bad tummy ache when I got home, so had some peppermint tea in my new mug. I had a bit of a lie-in on Tuesday 21st, then finally got my YouTube video uploading again (and it actually worked this time!) While that was uploading I watched This Morning and did a bit of tidying in my bedroom. 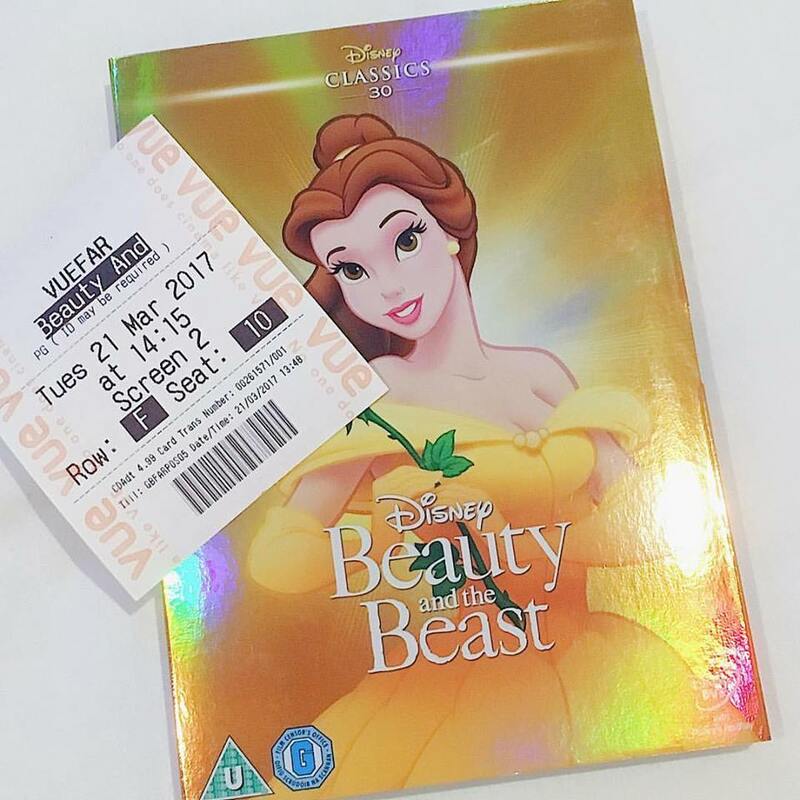 At around lunchtime my friend Kayleigh picked me up and we went over to the cinema in Farnborough to see Beauty and the Beast. I knew it would be good, but I didn’t realise how good! It had me laughing in some places and tearing up in others (why did I cry when they danced to Tale as Old as Time?!) The music and singing were amazing and as soon as it finished I just wanted to watch it again! 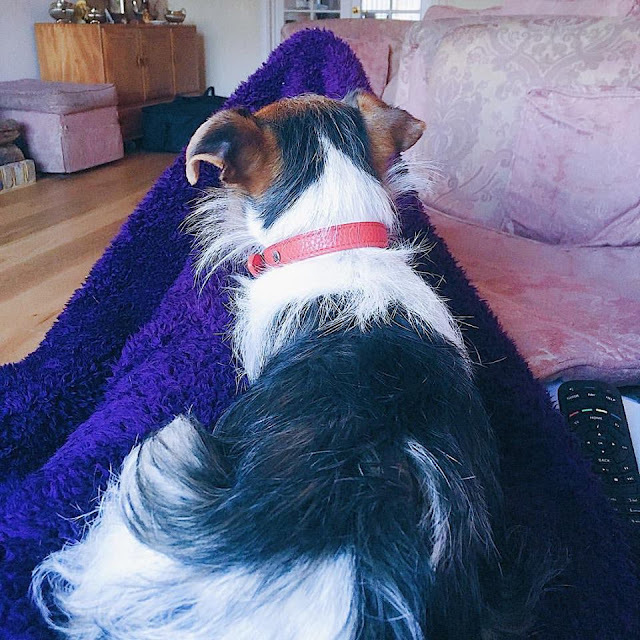 Kayleigh dropped me off at home and I spent the rest of the afternoon resting on the sofa with Freddie. I got up fairly late on Wednesday 22nd, again! I spent the morning editing some photos and downloading videos off my camera onto my computer. I then wrote part of a blog post, but ran out of time to finish it. I had my Fortisip and watched an episode of The Coroner. It came on the news about the terror attack in Westminster, which was just awful. I immediately contacted my brother, David, who works in London, to check that he was safe. Thankfully he was at his work (he installs sound systems in theatres all over London) so wasn’t near the attack, and was able to get home safely. I felt really shaky though – it’s so close to home and I can’t get my head around how someone can do that to innocent people. 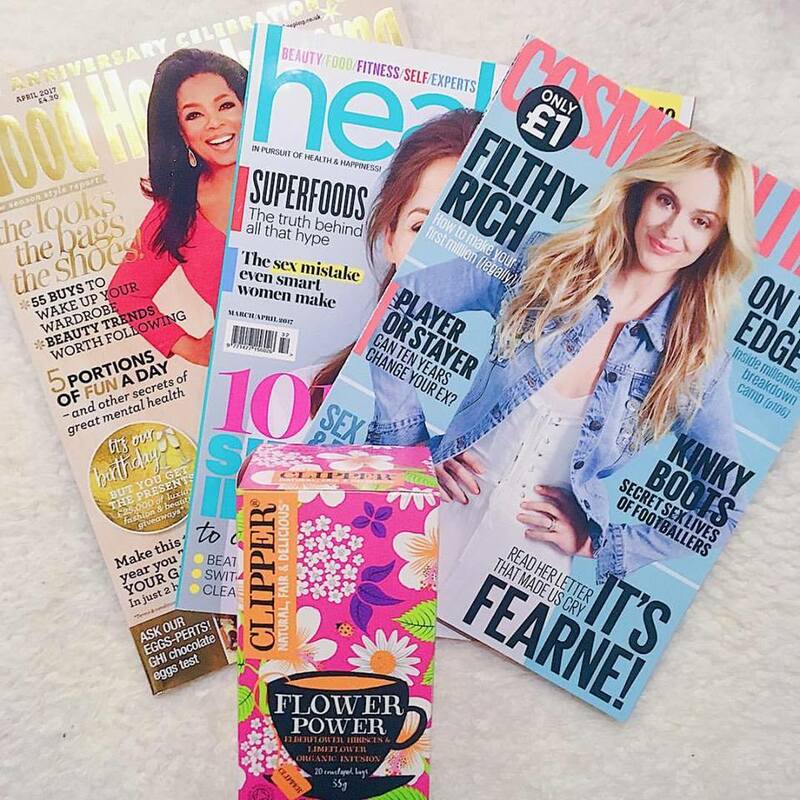 My Mum took me down to Waitrose and the newsagent so I could get some magazines for my hospital visit on Friday. I also picked up this Clipper tea for an Easter swap I’m doing. When I got home I rested for a bit, then in the evening I watched DIY SOS, which had my lovely friend Chloe in it. I felt so proud of her! Unfortunately, I was also feeling really sick and had a really bad tummy ache. I managed to turn my alarm off and oversleep on Thursday 23rd, which was a bit annoying, as I had things I wanted to get done. I did have time to finish my blog post though and got that uploaded. My Mum took me down to the hairdressers around lunchtime and I had my hair coloured. 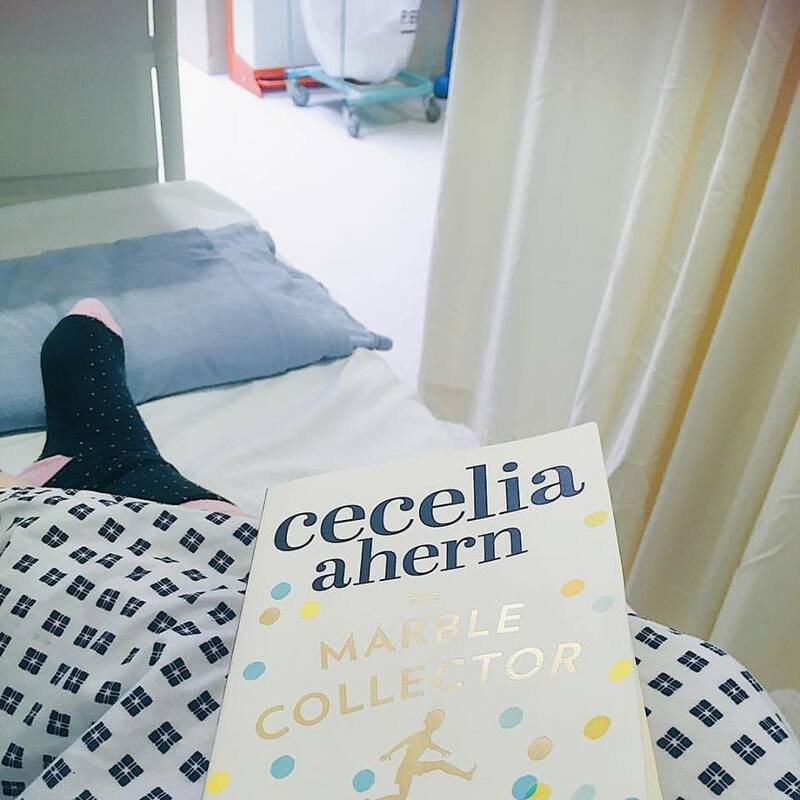 It was nice to be pampered for a bit and read my book, and it helped take my mind off going into hospital the following day. When I got home my Dad had just got back from my Grandma’s with a case full of old photos and letters, so we spent a while looking through some of those. I’m hoping to use some of the letters for my university assignment article. 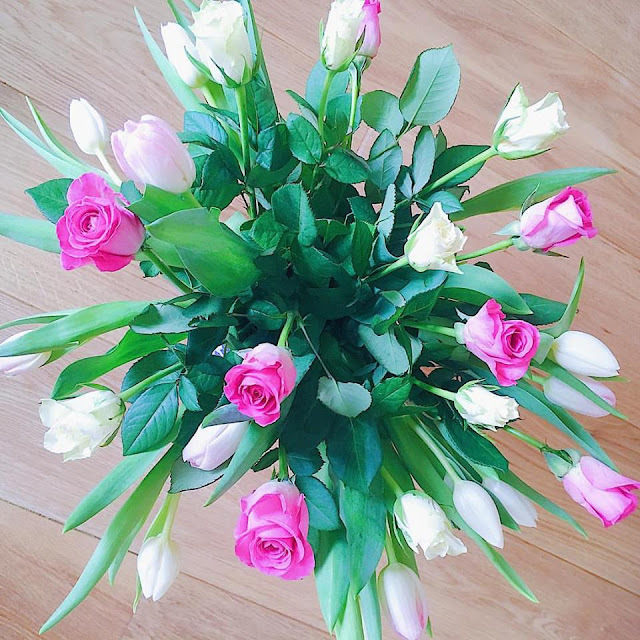 These flowers that I ordered for Mother’s Day had also arrived. They came earlier than I’d expected, as they were meant to come at the weekend, but my Mum really liked them so I guess it just spreads it out a bit. I watched some TV and did some admin bits on my laptop for the rest of the afternoon. Friday 24th was hospital day, so I was up super early in the morning, which wasn’t much fun. My Dad drove me over to Frimley Park Hospital and pushed me up to the Day Surgery Unit. I found out I was last on the morning list and there weren’t enough beds, so I sat in the waiting area reading my book until about 9am. I was then taken to my bed, where I changed into my gown and read a bit more of my book. It turned out they’d had three cancellations on the list, so I was take to theatre earlier than planned. I didn’t actually know what they were going to do until I got into theatre, but I then met my doctor and we discussed the procedure. 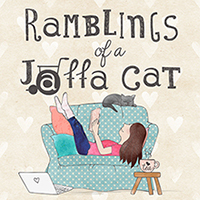 I was given a heavy sedation – it felt more like they knocked me out completely, as I had no awareness of anything. While I was out of it they did injections of local anaesthetic and steroids in my abdomen and occipital nerves (base of skull). They also did something called Pulsed Radio Frequency in my occipital nerves, where they basically burn the nerves to stun them, in the hope they will reset and pain will decrease. I came round in recovery and when my oxygen levels and everything were OK, I was taken back up to the ward. I dozed for a bit and had a cup of tea. The nurse helped me on my feet and to get dressed, and then when I was well enough my Dad brought me home. I spent all afternoon sleeping. I was feeling really sore – they tell you that the pain is likely to get a lot worse before it gets any better. I also had a lot of numbness in my right arm and side, which worried me a bit. They checked I could feel and move my legs when I woke up, as the procedure can result in paralysis, but I didn’t think to mention my arm. I was also very tearful – anaesthetics always make my depression so much worse. I didn’t have a great night going into Saturday 25th. I cried myself to sleep and was feeling very low, scared and lonely. Then I didn’t sleep well because every time I moved, the pain woke me up. I got up fairly late and had a bit of breakfast. It then took me ages to get dressed because I felt really dizzy and breathless, so kept having to rest. I spent the rest of the morning sleeping on the sofa. My Mum woke me up at around 2pm so I could have a bit of lunch. My friend, Lilli, popped round for a little chat, which was a nice distraction. I was pretty shattered after she left, so I curled up under my blanket and dozed whilst watching Brave and Despicable Me. This little man was glued to my side all day, but I was trying to keep him away from my tummy. So he took to lying on my legs instead, which helped me stay calm. I kept crying throughout the day, so was just trying to get through a few minutes at a time. My pain was getting worse, so I stayed dosed up on painkillers, and I struggled to do much with my right hand as it was still very numb. Last Sunday I got up pretty late, partly due to the clocks changing and partly because I was in a lot of pain and exhausted. Eating my breakfast was a struggle because my nausea and abdominal pain were really playing up. I spent ages doing my medication for the week ahead – my right arm and hand were still quite numb, which was making things tricky. I spent the morning asleep on the sofa. My Mum woke me up at about 2.30pm and I had my Foritisp and left a message with the specialist pain nurses about my numbness. I had hoped to write my Sunday blog post, but I just felt too unwell. So I just curled up under my blanket, dozed and watched bits on TV. My Mum opened her card and present from me. 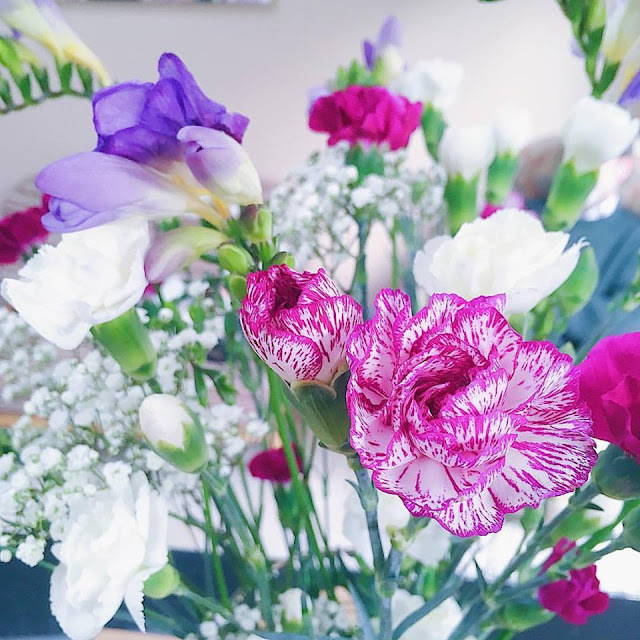 I felt so bad that I wasn’t able to give her a nice Mother’s Day, but hoped we could do something when I felt a bit better. Richard and Lisa came over for dinner and we all chatted, which was nice, but I started feeling really breathless and dizzy so had to rest. My lovely Mum bought these beautiful flowers home from Waitrose for me on Mother’s Day. It definitely should have been the other way round! But she wanted to cheer me up. The specialist pain nurse rang me on Monday morning and said she was concerned about my numbness but unfortunately my consultant was away so couldn’t see me. So she asked me to try and get an appointment with my GP or go to A&E. Thankfully my Mum was able to get me an appointment with my GP in the afternoon, as I really didn’t fancy sitting in A&E so soon after my surgery. I spent the morning asleep on the sofa again. My Mum woke me up at about 2pm, so I had my Fortisip and watched a bit of TV. 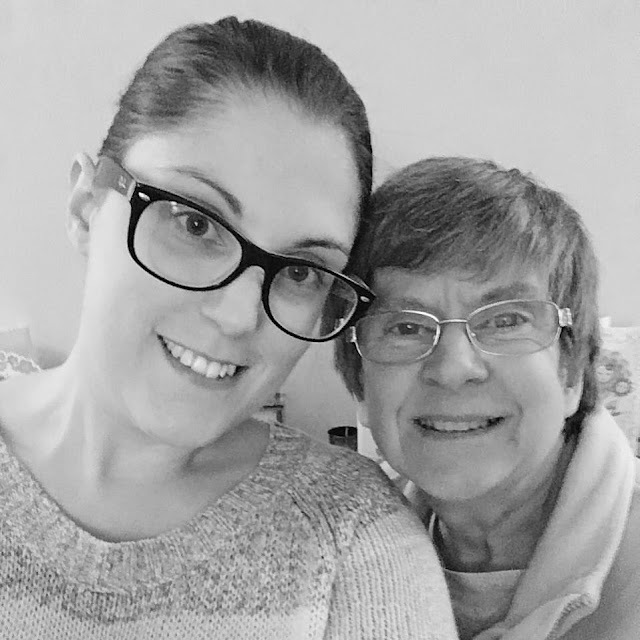 We went down to see my GP at around 4pm – she did various tests to check my reflexes, strength and what I could feel. She confirmed that I had weakness and loss of sensation in my right side, from my cheek to my hip. She then tried to phone the hospital to speak to a specialist doctor, but couldn’t get through, so sent me home so I could rest. Her secretary rang me a bit later to tell me my GP had spoken to a doctor at the hospital. They thought they had probably caught something when they did my procedure, but unfortunately there was nothing they could do if that was the case, so I was advised to watch and wait. They said I should be getting an appointment with my doctor when he gets back, but that I could ring the hospital if things got worse. The anaesthetic had also made my POTS go crazy – one minute I was freezing, then I was sweating buckets, and my heart was constantly racing. 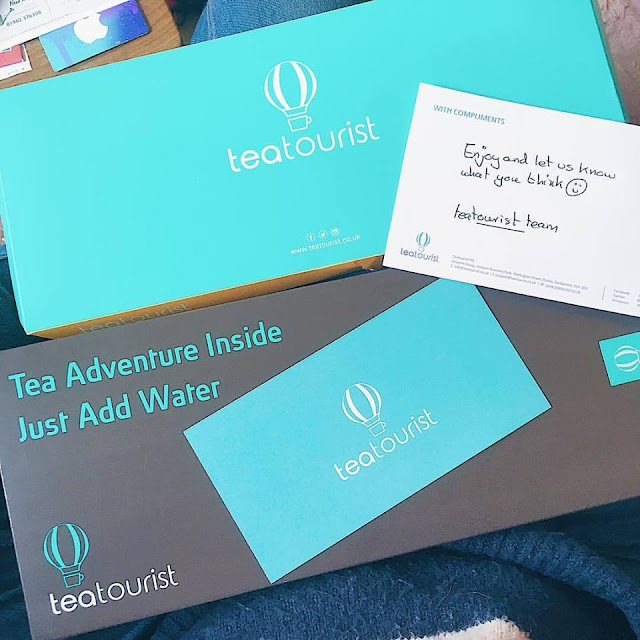 This Tea Tourist box came in the post for me to review though, which made me smile. 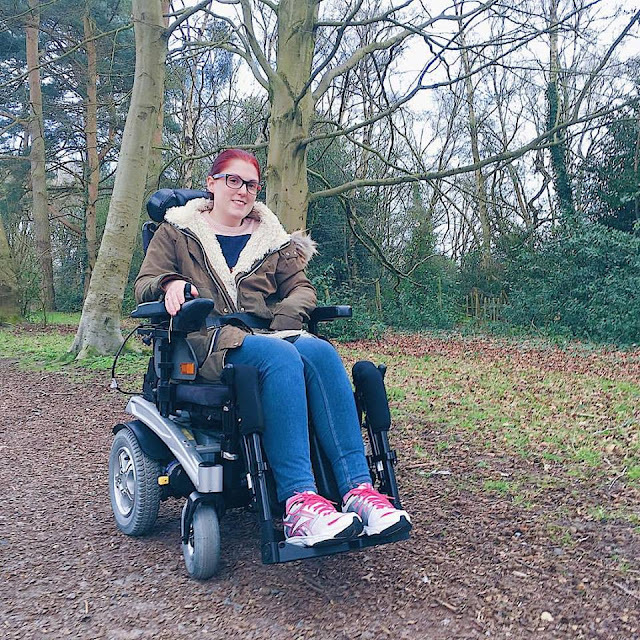 My new electric wheelchair was delivered first thing on Tuesday morning, which was rather exciting. I spent most of the morning lying on the sofa, watching a bit of TV and feeling generally crap. My heart was racing, I kept sweating like crazy and I just felt exhausted. At lunchtime I had my Fortisip and opened a bit of post. My Dad then took me for a little outing in my new wheelchair. We went behind our house in the woods and back around our estate a bit. It was crazy, as I haven’t been able to see these places for longer than I can remember! It was quite hard work with my hand being numb and it completely wore me out, but it was so amazing to get out and to move myself independently! I collapsed on the sofa when we got back and rested for quite a while. I then tried to do a bit of browsing on my laptop, as I need to keep trying to use my hand in the hope I can strengthen it. I (perhaps stupidly) decided I wanted to wash my hair, as I hadn’t been able to do it since coming home from hospital. I used my bath board and had my shower on the wall, but it was really hard. I ended up sitting there sobbing while I tried to dry my hair, which wasn’t the greatest way to end the day. 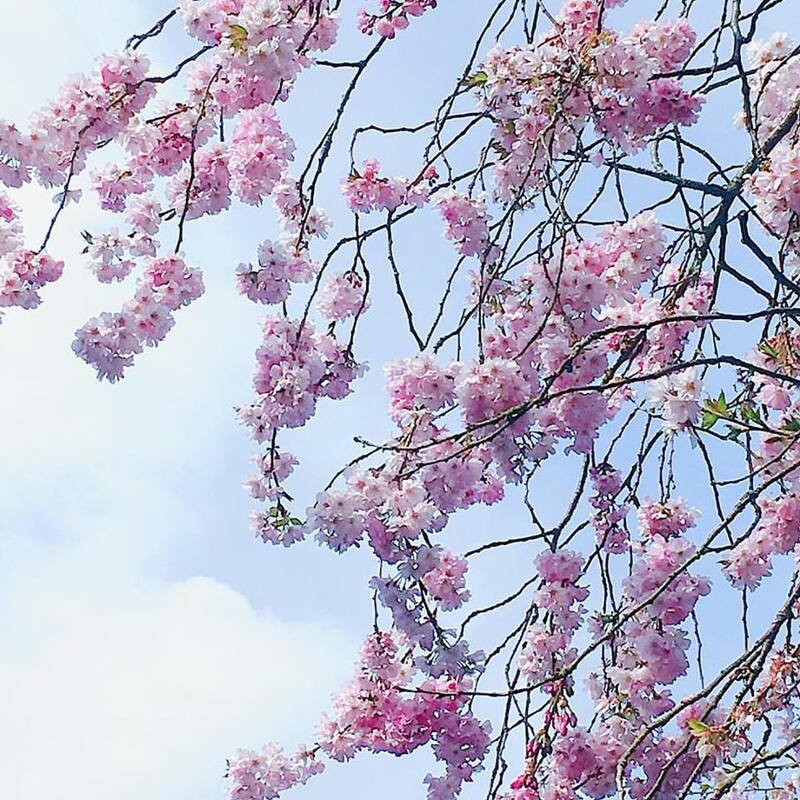 I saw this beautiful blossom on my little wheelchair trip. I had a pretty bad night with lots of pain, crying and not much sleep. But I somehow managed to get up on Wednesday morning and my Mum took me down to my counseling session. I’d contemplated cancelling it, but I’m glad I didn’t, as I really needed to talk to someone. It definitely helped to get things off my chest. I was feeling quite unwell by the end; so fell asleep on the sofa as soon as I got in. I didn’t wake up until early afternoon, which wasn’t what I’d planned but I felt wiped out. I also had an awful headache, but that was expected after my surgery. This boy was sharing a sofa with me and looked equally sleepy! My Dad and I watched the first episode of Vera from the new series, and then I did a bit more browsing on my laptop. I got up quite late on Thursday after another bad night of crying myself to sleep. I felt very low and really needed some help. I still felt very wiped out so rested on the sofa, watched TV and dozed a bit. I let the dogs out in the garden for a few minutes and it was nice to feel the sun on my face. In the afternoon my Mum took me over to Tesco so I could get out of the house and pick up a few things. 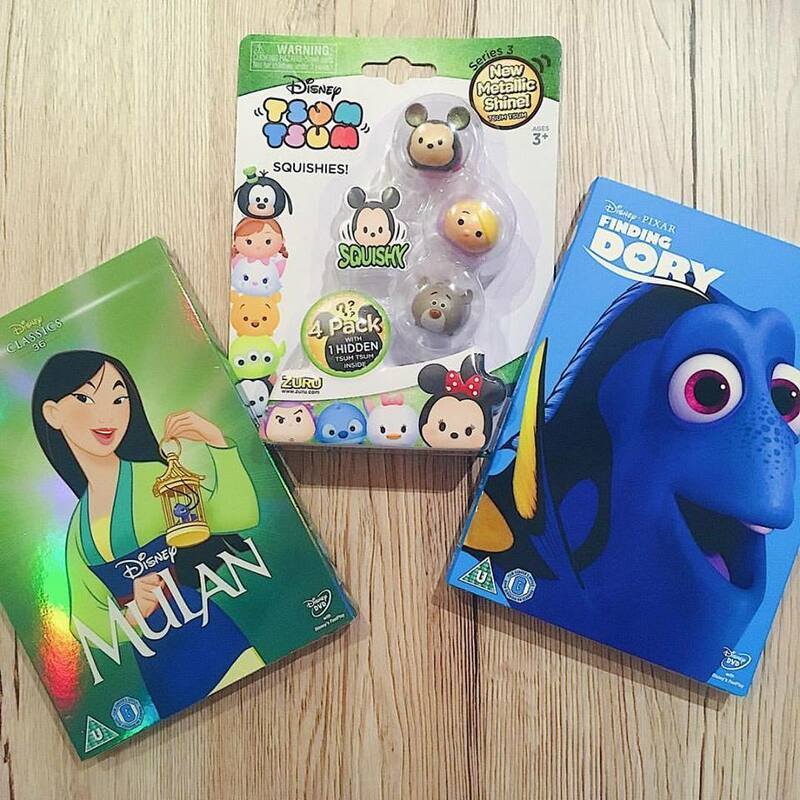 They had Disney DVDs on offer so I added a couple more to my collection and also picked up some TsumTsum squishies. It completely wore me out but it was good to get out. I rested for a while when I got home. My numbness seemed to be getting a tiny bit better, which is hopefully a good sign, although the right side of my face was very numb. I had a bit of a lie in on Friday and then rested for most of the morning. My Dad took me over to Uni and I met up with my mentor. I updated her on what’s been going on and we talked through a bit of an action plan for the next week. My support worker then met me and took me up to my Law lecture. We went through loads of things that might come up in next week’s exam. It was pretty intense but very useful. 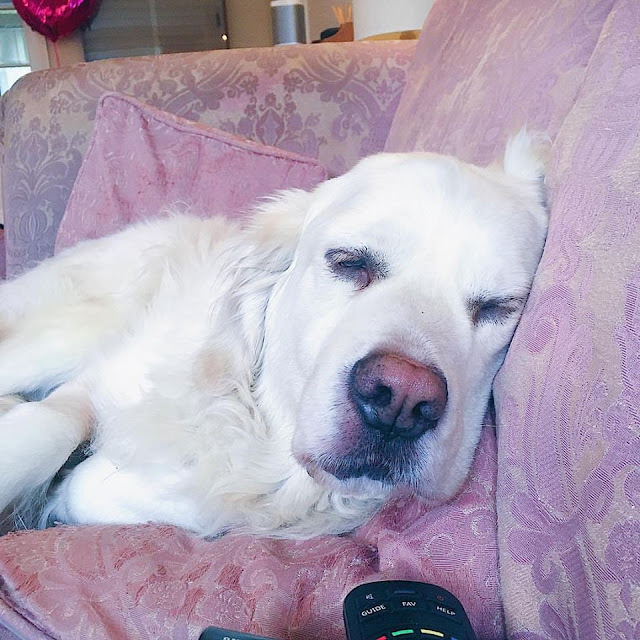 My Dad brought me home and I crashed out on the sofa for a while – Uni wiped me out! In the evening I watched some YouTube and tried to relax. 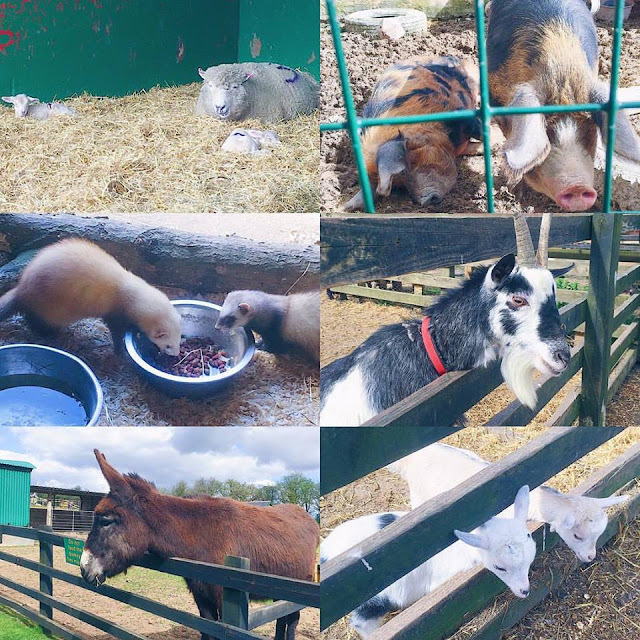 On Saturday morning my Mum, David, Emma and I went over to Finkley Down Farm in Andover. They pushed me round and we saw lots of cute animals, including some adorable babies. We were so lucky with the weather, as the sun shone all morning. At lunchtime we decided to drive to a gastro pub we’d found on Trip Advisor a few miles away and have a bit of lunch there. It was really pretty in the middle of the countryside, and just as we got in, the heavens opened. After lunch, David drove us back home. My Mum and I popped into Waitrose to get a couple of things, then I crashed out on the sofa and fell asleep. I spent my evening watching Saturday Night Takeaway, Casualty and All Round to Mrs Brown’s.